If you handle a lot local data storage, we can offer you data storage solutions by installing high speed data cabinets over 1Gbit, 10Gbit and fiberoptic networks ensuring fast access and high availability of media files for studio managers, sound engineers, editors, sub-editors, producers, directors, animators and other production staff. Data cabinets are designed and configured in such a way so that high availability of data for users and redundancy is ensured. The RAID in the data cabinets is set up in such a way that eliminates single points of failure in the data storage system. Among the many key features of the data cabinets, we can point to user quota management, data user permissions, security management and file sharing. Our installed data cabinets, SANS and NAS units are highly scalable. As the data storage needs of your organisation increases, we will be able to add additional storage by expanding the existing data cabinets. By adding a soft-layer to the provisioned data cabinets, we will be able to design web-based applications enabling administrators, power users and editors to allocate space and manage, assign or monitor tasks and check their progress locally or remotely. 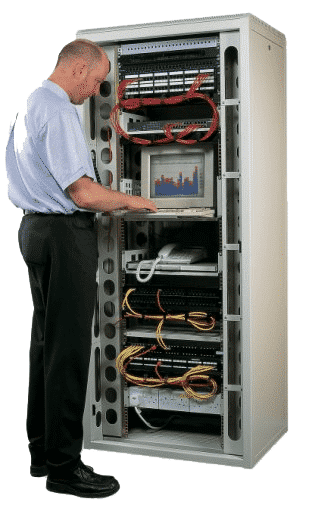 With our vast experience in onsite and remote maintenance of data cabinets, we will ensure your data storage and data archiving systems has optimum performance and stays on-line at all times without any need to troubleshoot. Our pro-active and preventative approach in monitoring and maintaining the data cabinets will ensure that we never need any reactive measure to tackle any problems arising in the middle any operation thereby preventing any downtime. In short, our goal is to simplify your data usage environment, giving you highly predictable performance, flexibility and scalability plus industry leading integrated data protection and redundancy – all underpinned by a single point of contact for enterprise class support and maintenance by Data Recovery Lab experts. CALL 0207 516 1077 TO DISCUSS YOUR CASE WITH A DATA STORAGE SOLUTIONS EXPERT.